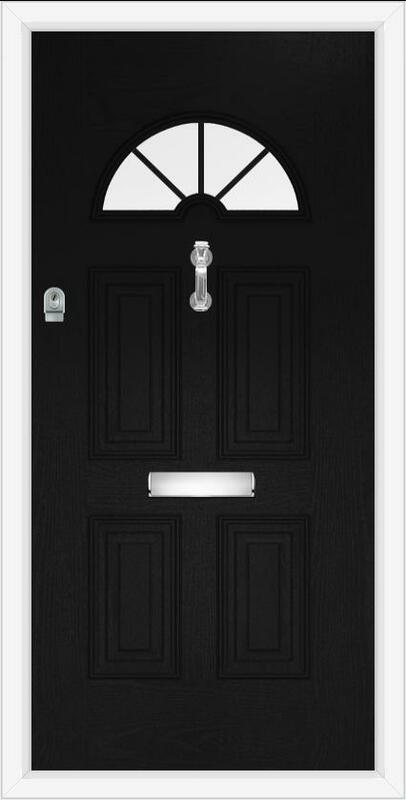 The Palladio composite doors are made from highly resistant GPR monocoque. The material, as well as the construction itself, are much stronger than traditional doors with a foam or timber core. The products we offer are available in many different colours, so our customers will be able to choose the front doors of their dreams. These incredibly secure and durable inventions have a very characteristic finish, which makes them look almost as if they were produced from the real timber. Classic style. Made of fiberglass. Our Palladio composite doors are at least 65 mm thick, which is one of the reasons they provide an impressive thermal insulation to the building they have been installed in. Their U value can be as low 0,85 thanks to the triple glazing, which reduces the condensation. The technology used to manufacture these products improves energy efficiency, but also protects the Palladio composite doors from warping and twisting in extremely cold or hot temperatures. Our customers can choose products reaching up to 219 cm in height. Besides the impressive thermal performance of the Palladio composite doors, they are also additionally reinforced to protect the household from burglaries. In contrast to products with a foam core, they cannot be easily destroyed or pried open. Moreover, each design we offer is equipped in a multi-locking system, that will make forcing the entry more difficult for the burglar. We kindly invite clients interested in our services to get in touch with our company. Our employees are going to help in choosing the most suitable solutions for each and every building.